What have been the turning points of your life? What were the events that have shaped you – good and difficult? In everyone’s life there are defining moments, key insights, and experiences. When you know what those moments are, you begin to gain an awareness of why you have gone in certain directions and made certain decisions. Sometimes we keep making the same decisions over and over without the awareness of the turning points that led to this. Life may seem random and disconnected but if you reflect a little on your past you may have a better handle on your present. Look at the chart attached as an example of what I’m talking about. 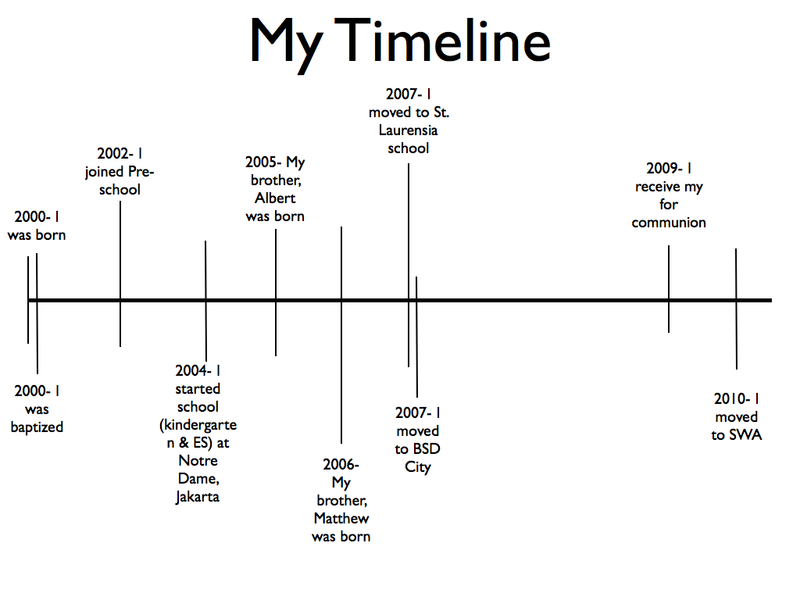 Make a timeline with the “High Points” of your life on the top of the line and the “Difficult Points” on the bottom. You may even make the lines high or lower based on the intensity of your feelings about certain events or decisions that you made. Were there times you felt disempowered? Were there times when you felt fully empowered? There was a point in my pre-teen years that was very humiliating and made me turn inward for many years and I became very shy. That was not my true nature but I made a decision to retreat due the bullying and humiliation of one particular experience. Later when my family moved I made a conscious decision to come out of that behavior but it took me several years to move beyond it. Think about recurring emotions you’ve had. Was there a time when you were little and you were lost, left somewhere, or became afraid? Write in your journal about a time in your childhood when you had a life shaping experience. Just jot down the facts – bullet points of the experience. Compare this to your “Life Line.” Were there any other experiences that you want to journal about? Were there any recurring themes: fear, resentment, anger, or shame? Sometimes we get stuck on the merry-go-round of emotions and never get off. Be aware of your feelings and how easily you can become comfortable in them – even when they are not healthy for you. What are you feeling right now? Did anything happen this week that might remind you of one of these past life emotions? This entry was posted in Christian Life Coach, Coach's Blog, denny meyer, Higher Power, ICA, life coach, sabbath, Salt and Light Coaching Consulting, Sonrise Coach, Spiritual Coach - Denny Meyer, spiritual coaching, spiritual director and tagged coach denny meyer, denny meyer christian life coach, emotions, life coach denny meyer, life history, life line, life map, pastor denny, romans 12:2, spiritual coach, spiritual coach denny meyer, spiritual coaching, timeline. Bookmark the permalink.